When people think of Washington, DC, the nation's capital, a few things immediately spring to mind. Monuments, memorials, and museums are the biggest draw, but there are many more fun things to do in Washington, DC! Not only is Washington the seat of American government and history, but it is a thriving cultural and arts center. It's also chock-full of fine dining experiences, breweries, and a bustling nightlife. Families can enjoy lots of kid-friendly indoor and outdoor adventures, many of which are free! Top Attractions in Washington, D.C. Some of the best things to do in Washington, DC include the city's most famous and historic attractions. No time spent in DC is complete without a visit to the National Mall, lined with the city's most famous monuments and memorials, as well as the seats of the United States government. We highly recommend that anyone in DC, whether they be residents or visitors, spend some quality time touring the attractions lining the Mall. The Mall is approximately 2 miles long, and most groups take around 40 minutes to walk from one end to the other, stopping to admire the memorials on the way. We recommend beginning on the east end of the Mall, where the unmistakable U.S. Capitol building looms over the city. Enjoy the sight of the impressive Capitol steps, or come inside for a tour of the houses of Congress. You can even sign up for a special pass to watch a session of the House of Representatives or Senate in action! Now, let us take you west of the Capitol, where the Mall plays host to some of the Smithsonian Institution's flagship museums. We highly recommend three of the largest Smithsonian museums for groups of any age: the National Air and Space Museum, the National Museum of Natural History, and the National Museum of American History. Some of the must-see exhibits at the Air and Space Museum include the Wright Brothers' Flyer, Charles Lindbergh's Spirit of St. Louis, and the Apollo moon landings exhibit. The museum also features an observatory, planetarium, and IMAX theater. The Museum of Natural History houses hundreds of animal specimens, including a fascinating exhibit on human evolution and one of the largest dinosaur collections in the United States. You can also see the famous Hope Diamond in the museum's Hall of Geology, Gems, and Minerals. And right next door, the Museum of American History is filled with educational and entertaining exhibits you don't want to miss! Some of the most popular exhibits we recommend include The American Presidency, the inaugural dresses of the first ladies, Inventing in America, Americans at War, and the original star-spangled banner that inspired Francis Scott Key to write the national anthem. Other attractions located in the center of the Mall include the National Gallery of Art, the Hirschhorn Museum of modern art, the Smithsonian's National Museum of the American Indian, and the National Museum of African-American History and Culture. Just west of the African-American history museum sits perhaps the city's most famous landmark: the Washington Monument. One of the top things to do in Washington, DC, is to ride the elevator to the very top of this glorious monument to George Washington, first president of the United States. If you get the opportunity, the view of the monument in its reflecting pool is one you will never forget! The west, north, and south branches of the cross-shaped Mall feature some of the most well-known buildings and monuments in D.C. West of the Washington Monument are memorials to the veterans of World War II, the Korean War, and the Vietnam War. The Vietnam Veterans Memorial in particular is an extremely popular attraction, with its famous "wall" design inspiring viewers since 1982. The National Mall reaches its western terminus at the magnificent Lincoln Memorial, featuring the famed larger-than-life statue of President Abraham Lincoln. To the north of the Washington Monument, visit the gates of the South Lawn of the White House. Tours of the White House are available but must be booked ahead of time. To the south, the Jefferson Memorial overlooks the Potomac River's tidal basin. Unlike the northern arm of the Mall, you'll have to take a bit of hike around the basin to reach the southern arm, but believe us when we say it's worth it! Along the way to the beautiful monument to President Thomas Jefferson, you'll pass memorials to President Franklin Roosevelt and civil rights leader Martin Luther King Jr. You won't want to miss them! Outside of the National Mall, there are a number of things to do in downtown Washington, DC, that are just a short walk from the center of the action. If you are looking for things to do in Washington, DC, this weekend, these attractions are perfect for filling up your afternoons with fun and educational activities. Just across the Potomac River from the National Mall, Arlington National Cemetery is a popular tourist destination. This beautiful military cemetery is as vast as it is picturesque, making it a great option for those who have a long time to spend at one site. Within the cemetery, we recommend making stops at the Tomb of the Unknown Soldier, the President John F. Kennedy grave site, and the Iwo Jima Memorial. There are also guided bus tours of the cemetery that highlight some of the most famous graves and memorials within the site. Note the nearby location of the Pentagon and its associated 9/11 memorial. Many visitors to Arlington like to pay the Pentagon a visit on their way out. For the museum-lovers among us, there are number of great museums downtown outside of the Mall that are definitely worth a visit. The U.S. Holocaust Memorial Museum features poignant and unforgettable exhibits on the history of the Holocaust, with experiences geared toward adults and children. The Newseum focuses on pivotal events of American history made prominent by news media. At Ford's Theatre, take a tour of the place where Abraham Lincoln was assassinated, including a trip across the street to the house where he died and a tour of the Lincoln museum in the theater's basement. Later in the evening, you can return to the theater to catch a performance, as the theater is still operating to this day. For sports fans, DC has a variety of options available right downtown. Catch the Washington Wizards (NBA), Washington Mystics (WNBA), or Washington Capitals (NHL) at Capital One Arena, just a few blocks north of the Mall. To the east, in the Kingman Park neighborhood, watch DC United play soccer at Robert K. Kennedy Stadium. To the south, head toward the Navy Yard to enjoy baseball, the grand old American pastime, at Nationals Park, home of the Washington Nationals. Many of the free things to do in Washington, DC, are also some of the city's hottest attractions. Not only are the monuments on the National Mall free to explore, but all 19 of the Smithsonian Institution's museums are free of charge! Some other free attractions popular around the city include the Library of Congress, which features historical exhibits and daily free events, the National Archives, where important documents like the Declaration of Independence and Constitution are on display, and the Supreme Court building, which offers visitor experiences similar to the Capitol and White House. The Smithsonian's National Zoo is also free of charge and open 364 days a year. The National Zoo is an excellent destination if you are looking for things to do in Washington, DC, with kids. The zoo is very popular with families and features more than 300 species. It is also one of only four zoos in the United States to house giant pandas. The kids are sure to love it! Another popular choice for families is Madame Tussaud's, a wax figure gallery that allows visitors to pose with an uncanny likeness of their favorite celebrity. The chain's Washington, DC, location is conveniently situated right in the heart of downtown and features a uniquely DC experience, offering likenesses of presidents, first ladies, and other historical figures alongside famous actors, musicians, and athletes. While kids and teens love to pose with the wax figures, Madame Tussaud's is fun for the whole family! Many of Washington's museums hold workshops, classes, and overnight "sleepover" events that specifically cater to kids and teens. Check the websites of DC's many museums to find out which events are happening this week. Some of our favorite kid-friendly choices include the National Postal Museum, where kids can design their own postage stamp and participate in interactive mail sorting and delivery exhibits, and the International Spy Museum, which offers an interactive "Operation Spy" exhibit within the museum's halls and a GPS-guided "Spy in the City" game that sends kids on a mission around Washington. You might be tempted to assume that Washington, DC, is too urban of an environment for the outdoor enthusiasts among us. Think again! There are lots of cool things to do in Washington, DC, that allow you to soak up the sun in the great outdoors. DC is a very walkable city, with many companies, such as DC By Foot and DC Insider Tours, offering walking tours of the National Mall and other Washington attractions. We also recommend you check out Bike and Roll DC and City Segway Tours for some other fun ways to tour the city. If you prefer a more unstructured experience on your own, we recommend a journey to Theodore Roosevelt Island, which offers a quiet hiking experience and a visit to the oft-overlooked monument to one our most revered presidents. Some other highly rated walking experiences including the National Gallery of Art's sculpture garden, the Mall's centrally located Botanical Gardens, and the National Arboretum. In the northern part of the city, adjacent to the National Zoo, you'll find Rock Creek Park. An oasis of nature in a bustling urban environment, Rock Creek Park offers 32 miles of hiking and cycling trails, picnic facilities, and kayak and canoe rentals. You'll also enjoy access to a planetarium, a horseback riding center with 13 miles of trails, tennis courts, and an 18-hole golf course. Looking for romantic things to do in Washington, DC? Look no further! There are lots of things to do in Washington, DC, at night that can make for a romantic and fun date. Washington has a thriving food scene, with lots of opportunities for fine-dining experiences. Some of our top recommendations include The Lafayette, The Capital Grille, and the historic 1789. Couples should also take advantage of the numerous brewery and winery tours and tastings DC has to offer. Some highly reviewed choices include the 3 Stars Brewing Company, Atlas Brew Works, and District Winery. For a more relaxing afternoon or evening, consider one of DC's luxury spas. 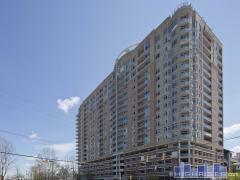 The Four Seasons is a top choice, situated in its convenient Georgetown location. Or perhaps your date would enjoy a boat cruise along the Potomac? Companies like the Potomac Riverboat Company offer beautiful evening dinner cruises and nighttime sight-seeing tours. DC is absolutely gorgeous at night! For a fun evening, you could see a musical performance, theatrical production, opera, or ballet at the John F. Kennedy Performing Arts Center. For a more casual musical experience, check out the 9:30 Club for a variety of bands and artists on tour in the DC area. Couples who enjoy shopping may like CityCenterDC, a hip plaza featuring fashion boutiques, restaurants, residential properties, and many free events throughout the year. There are also lots of things to do around Washington, DC, that are just a short drive or Metro ride away from the city center. Families who love to shop can enjoy mall and outlet locations throughout the greater DC region, such Hagerstown Premium Outlets, Leesburg Corner, or Tanger Outlets. To supplement your shopping weekend, consider a visit to Live! Casino or Medieval Times in Hanover, Maryland, or Six Flags America in Bowie. Outdoor enthusiasts are just 90 minutes away from Shenandoah National Park, one of the nation's greatest natural assets, and half an hour away from the beautiful Great Falls State Park in McLean, Virginia. And sports fans can watch the Washington Redskins play at FedEx Field in Hyattsville, Maryland, just 30 minutes from downtown. And of course, those who can't get enough of the DC museum experience will find even more things to do outside of Washington, DC. In Chantilly, Virginia, visit the Steven F. Udvar-Hazy Center, an annex of the National Air and Space Museum, featuring the famous Enola Gay exhibit. In Alexandria, Virginia, just 20 minutes from downtown, visit George Washington's sprawling Mount Vernon estate, including a museum on the property and the grave site of George and Martha Washington. A bit further away, in Charlottesville, experience the architectural designs of Thomas Jefferson on a tour of the University of Virginia and Jefferson's Monticello estate. DC is also within driving distance of three pivotal battlefields of the Civil War. Manassas National Battlefield Park (sometimes referred to as Bull Run Battlefield) is located in Manassas, Virginia, 50 minutes away from downtown. If you're willing to drive a little further, you can visit Fredericksburg and Spotsylvania National Military Park in Fredericksburg, Virginia, and Antietam National Battlefield in Sharpsburg, Maryland.